When it comes to safety razors, they all seem pretty homogenous at first glance. You’ve got the solid, cylindrical handle, the butterfly head (either adjustable or fixed-gap), and the blade. Not much room for innovation or different there, right? Wrong. Merkur, for example, puts out a great line of safety razors, all of which will serve your needs just fine. In the long run, though, which one is the best Merkur safety razor? Which one of the myriad products that this prominent company releases will give you the best bang for your buck? Well, we did quite a bit of research to try to solve this problem, and the verdict is in – the Merker 34C HD Double Edge Safety Razor is the best Merkur safety razor of them all. 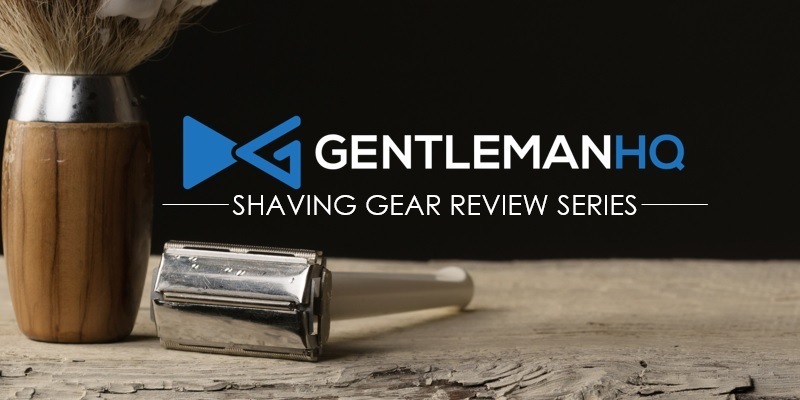 If you wanna know more, we’ve whipped up a nice little review for you to take a look at the ins and outs of the top of the top, the crème de la crème, the piece de resistance of safety razors – the Merker 34C. Who Makes Merkur Safety Razors? Merkur razors are made by the the German company, based right outside of Solingen, DOVO Steelware. DOVO Steelware was founded all the way back in 1906 by two gentlemen who are known as Mr. Dorp and Mr. Voos. The name of the company is in fact formed from the first letter of their last names, which gives us DOVO. Clever guys, they were! DOVO first began making straight razors out of their factory that only had 13 employees at the time. Each person was was an integral part of the team and helped to forge and hollow each blade in the grinding shop. By 1930 the company was really hitting their stride and this in turn helped the town of Solingen to gain moment and grow as well. The local authorities were so pleased with the reputation that DOVO was gaining, that they decided to pass a law in 1938 that trademarked the name of the town as a symbol of pride and quality. The game changed for razor manufacturers once electric razors hit the seen and in order to stay relevant new products needed to be offered. DOVO didn’t miss their chance to get in on the changing came and soon came out with various tools that were used in barbershops. The most popular being the EUREKA, a new type of hair and thinning scissors. DOVO has found a lot of success throughout Western Europe and North America over the years, with an increase in recent years as more guys have jumped on the wet shave band wagon. These days, they are one of the most notable names creating safety razors of great quality and innovative style. How Do I Clean a Merkur Safety Razor and Make It Last? These razors are made really well, so you’ll want to take good care of it so that it lasts a long time. Let’s walk through the steps of cleaning Merkur safety razors now. I could go on and on about all the cool little things I appreciate about the 34C, but I’ll distill them down to a few basic points for the sake of this review (here’s another great review of Merkur products by our friends at Dovo). First of all, the 34C is simple – it’s practically simplicity personified. The design is bare-bones, but not to a fault; it doesn’t try to overimpress you with fancy curves or barber-shop columns. There’s just the stippled metal texture on the cylindrical handle to keep your grip steady, the adjustable knob to let you change the gap in the double edged butterfly guard to your liking, and the head/blade itself. You can basically pick it up and use it; I’m a big fan of products that have no learning curve, and this counts as one of them. The classic-looking head of the razor is also a nice touch; it’s light and smooth, perfectly angled to the face to allow for clean swipes and strokes across the face. You’d have to work hard to cut yourself with this thing, since it’s so intuitive – it’s like it beams muscle memory into your brain without you even needing to use it. It’s just an incredible quality that often goes unnoticed, but can make all the difference in a shave. Another thing I love about it is the heavy-duty handle; this thing is made with some hefty construction, so you’ll definitely feel the weight of it in your hand. At the same time, it’s not too incredibly heavy that you’ll have trouble using it (unless you really need some strength training); it has just the right amount of heft to give you an immense amount of control when shaving. You don’t even have to put much weight on it, since the weight of the handle does most of the shaving for you. If I had to pick some criticisms for it, I’d have to say that the adjustable knob can be a little difficult to turn sometimes, at least compared to other safety razors out there. Still, it’s not really too hard – it just sticks a little bit when turning. This can make it annoying to change out the razor, which you should do often anyway, but this problem is not a deal breaker by any means. While I think the 34C is amazing, its shaving style might not suit everyone. Its heavy weight and the shortness of the handle may make it the best Merkur safety razor for some, but not others; others may prefer a longer handle or more responsive adjustable knob. At the same time, those complaints feel to me like nitpicking, as this is an incredibly solid razor that shaves well, even if the aesthetic choices can be questionable to some. Really, though, I can’t imagine anyone really finding a reason to dislike the Merkur 34C – it’s a nice, solid safety razor, with deliberate construction and elegant functionality that stands up to the competition through sheer efficiency. Its rejection of flash is completely refreshing when compared to some of the more elegantly stylized safety razors out there that value form over function. The Merkur 34C is all function, and I can’t help but admire that in a razor. In the end, I think this is also one of the best Merkur safety razors for someone just starting out with wet shaving; since it is so intuitive and unobtrusive in its design, I’d wager that it’s easy as pie to pick up and start shaving without having any training or experience with the practice before. To that end, this makes a great starter razor for anyone interested in the fine art of shaving like a classy Roaring Twenties-esque gentleman. In this review, I’ve talked a lot about the design, the adjustments, and the reliability of the razor, which I think ignores the actual aesthetic value of the razor. It’s still a damn good-looking razor; wet shaving products are always best when they have that stripped-down, utilitarian look that befits the kind of old-fashioned atmosphere we attribute to it. The Merkur 34C is one of the best Merkur safety razors for that; sitting next to the rest of your old-fashioned shaving kit, this traditional-looking razor would look right at home beside your wooden shaving brush and fancy shaving cream with the paper wrapper on the outside. From the way it looks to the way it shaves, the Merkur 34C beats the competition, even within its own product line. While it sells for about $50, that’s a steal when you factor in the low, low prices of straight razors as compared to regular fancy razors with the rubber grips. Whether you’re buying a safety razor for the first time or simply want to try something new for a change, I can’t recommend the Merkur 34C safety razor enough; you won’t regret it. As always, you can find a great discussion on this exact topic over at Badger & Blade.